Denver - Jerome Arthur Guenther, 79, died Wednesday, Feb. 13 at UnityPoint Allen Hospital from illnesses caused by Agent Orange exposure. He was born March 27, 1939, in Waverly, Iowa, the son of Gerald and Lorraine (Moeller) Guenther. He married Carolyn Black in 1963 and they were later divorced. He married Sue Richards in 1979. He graduated from Denver High School in 1957 and served in the US Navy from 1957-1963, mostly on the USS Galliant MSO 189 including stops in DaNang, Vietnam. He worked at the Elks Club for 25 years, managed Willow Run Country Club in Denver, was co-owner with his wife of the Alibi Tap, and Bender’s Foods. He is survived by his wife, a daughter, Lisa (Mike) Catron of Tracy, CA; four brothers, Rev. Thomas of Lincoln, Ne, Mark (Mary) of Denver, John of Waterloo, Joel (Claudia) of Littleton, CO; two grandsons, Curtis Wolfram and Josh Catron, both of Tracy, CA; two sisters-in-law, Barbara Tavernier and Geraldine Guenther both of Denver; three nieces and four nephews and their families. He was preceded in death by his parents, a brother, David, and a son, Larry. 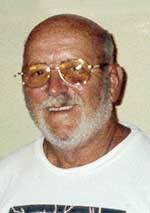 He was a member of Acker-Matthias American Legion Post 653 in Denver, a NRA life member and DVA. Funeral services were held at 11:00 a.m. on Monday, February 18, 2019, at Saint Paul’s United Church of Christ in Denver with Rev. Craig Henderson officiating. Burial with Military Rites was performed at the Fairview Cemetery in Denver by the Acker-Matthias American Legion Post #653. Visitation was from 3 p.m. to 5 p.m. on Sunday, February 17, 2019, at the Kaiser-Corson Funeral Home in Denver and for an hour prior to services at the church on Monday. Memorials may be directed to the family and on-line condolences may be left at www.kaisercorson.com. Kaiser-Corson Funeral Home in Denver was in charge of arrangements.